Locally serving Mesa, Chandler, Scottsdale, Gilbert and Phoenix, Arizona and Northern Arizona (Payson, Heber, Forest Lakes, Show Low). Health counseling also available remotely through Skype. 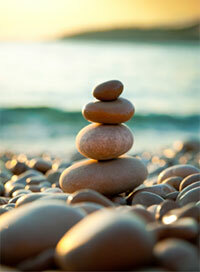 Health consultations available customized to your health challenges. After a questionnaire is filled out, trouble-shooting and research takes place to come up with recommendations and protocol for your situation. Linda then meets with you (up to 90min) either in person or on Skype/phone to gather more data and discuss recommended protocol. With a pre-filled health questionnaire, Linda is able to dive into potential health challenge culprits and suggest some protocols based on your challenges and health goals, which may include a cleanse or detox, food elimination protocols, diet, herbal and lifestyle recommendations. Fee is $199. If a quick coaching session is more your style, Linda offers 30 minutes of her undivided time via phone or Skype to simplify nutrition for your individual needs (questionnaire and research not included). Fee is $99. Those looking for a vibrant, healthy life and ready to make changes. Those with health challenges prompting a radical change in diet and lifestyle (such as: diabetes, obesity, heart disease, cancer, depression, gallbladder, liver, digestive disorders, and more). Those wanting to implement a whole foods protocol and desire a coach to guide them. Those ready to make a major change for their health and longevity. More compassionate living through whole foods. Simple ways to create delicious, healthy, whole foods. Love of healthy food preparation. Customized food preparation lessons available with diet/lifestyle coaching for those looking to transform their diet and lifestyle with just the right support. 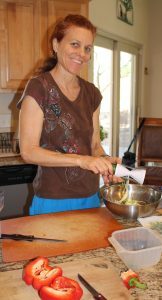 Linda’s “practical” instruction is health-focused along with simplicity and ease in the kitchen without sacrificing taste. Lessons and recipes tailored to individual needs (vegan, vegetarian, raw, gluten-free, low-carb, etc.) specializing in food allergies and whole food, plant-strong cuisine. Email Newsletters and blog articles on healthy eating – FREE!